Under Pump Drip Trays are used to prevent leakage from within an above ground pump entering the containerment chamber beaneath and stops surface water from also filling the sump. Leakage within the pump is diverted to the exterior of the pump where it will be clearly visable enabling retrospective maintenance actions to be implimented to address the problem. It also prevents flash flooding from filling the dispenser sump. Forecourt Solutions can provide a range of Drip Trays specific..
Wesex Water Drain Access In order to provide access to a existing drain running through a new industrial building Forecourt Solutions designed, constructed and installd a new clear access modular cover. The cover which is 10 x 2m provides access for HGV traffic within and through the building. 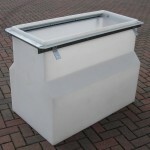 Covers can be individually removed to inspection or the complete cover and frame can be removed to provide full access. Due to careful design all the componet parts can be remove..
Forecourt are pleased to announce the release of their newest pipe entry seal the 140mm CTB-0550. Ideal for sealing pipework anf duct with a 140mm OD into sumps and other containment chambers. This cost effective product in now available ex-stock. Dimensional drawings available on request. ..
Forecourt Solutions will be once again attending the Uniti expo in Stuttgart between 15th - 17th May 2018. We will be found in Hall 5 Aisle D Stand 07. We look forward to welcoming you to our stand. ..
Forecourt Solutions Ltd will be closed today 2nd March 2018 following the heavy snow fall overnight in Somerset and further snow forecast for today. We will reopen Monday 5th March our apologies to all our customers and suppliers for this closure. An email and telephone service will be available should you have any urgent questions. 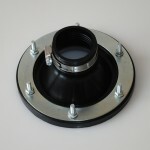 ..
Forecourt Solutions are to introduce a 140mm ChamberTite Entry Boot to bridge the gap between their existing 125 and 160mm entry seals. The new pipe seal will be suitable for 5" steel pipes and 140mm ducts which are commonly installed in markets within Europe. 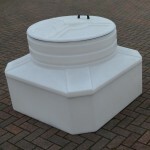 Forecourt has the largest range of entry boots available within the market. If you would like further information regarding this new product please email info@forecourtsolutionsltd.com ..
Forecourt's 900 x 900mm B125 cover tested for watertightness to a submerged depth of 2 m. This is quite an unusual requirement but it recently occurred at an oil distribution terminal. Forecourt are happy to provide the unusual to meet your special requirements. 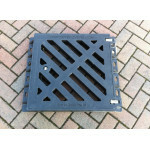 ..
Forecourt is pleased to announce the introduction of a new composite manhole cover and frame size. The 900 x 600mm cover has been introduced in both B125 and D400 load ratings. The new cover fills a gap in the market at a cost effective price. The product is available immediately. .. 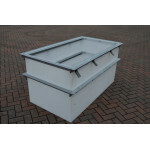 Offset Fill Chamber provide an efficient way of providing access tomultiple tank filling point in one place. As well as providing containment for those almost inevitatble spills when filling hoses are disconnected the chamber provides security and ease of access to authorised users. The Forecourt chamber consisty of a rotationally moulded containment chamber fitted with a secure welded aluminium contructed above ground enclosure. The riser points themselves are configurable to suit your site ..
Forecourt Solutions will be closed for the Christmas period.The vacation will start at 12.00 Oclock on the 23rd Decemebr with staff returning to the office on Tuesday 3rd January. If you should require any urgent assistance during the vacation period please contact Nick Hugh either by email or via his mobile 07711935063 I would like to wish all our Suppliers & Customers a Very Merry Christmas and Peaceful New Year ..
Petroforum Africa will be once again taking place at Kievits Kroon, Johannesburg, South Africa between 16-17th March 2017. Forecourt Solutions will be attending this the 4th Petroforum Africa event. Forecourt will be looking forward to building up their existing distributor and customer base throughout Africa which in recent years has been a growing market for Forecourts cost effective range of products for petrol stations. .. Many underground drawpit applications require water tightness however few drawpits offer a watertight alternative. Forecourts new IP rated chamber are specifically targeted at this market. These chambers are ideal for your LED light transformers or for electrical equipment. Ensure your chambers are suitable for your project specify Ip rated chambers when watertightness is required. ..
Forecourt Solutions will be exhibiting its vent chamber and other containment systems at this years APEA Live Exhibition & Conference at the Ricoh Arena Coventry. Come and visit us on Stand A14. .. Finally after 10+ years of discussion the NEW EN 124-1 to 6 standard has been published. Actually the standard has been split into 6 sections EN 124-1 Gully tops and manhole tops for vehicular and pedestrian areas. Definitions, classification, general principals of design, performance requirements and test methods EN 124-2 Gully tops and manhole tops made of cast iron EN 124-3 Gully tops and manholetops made of steel or aluminium alloys EN 1.. The new home for the Design Museum is being created at 224-238 Kensington High Street with the development of The Parabola. Forecourt Solutions has provided a range of drawpit chambers to the project including our IP65 designed drawpit to house low voltage LED lighting transformers.The IP65 designed chambers and other chambers suitable for complete immersion are part of Forecourt's Chambertite range. In this application they have been selected to keep the transformers dry with alimited visual..
Forecourt Solutions have been shortlisted for the Milestone Award to be announced at the APEA Live Event in Coventry UK in November. Forecourt was selected as it had achieved a significant milestone of supplying more than 65 countries on 6 continents in their 10 year history. The milestone was achieved earlier in 2015 with significant volumes of Forecourt Chambertite Entry Boot range being shipped to South America. Forecourt Solutions has developed its Chambertite watertight con..
ChamberTite Drawpit Range Extended Forecourt Solutions are pleased to announce the release of their newest Drawpit Chamber. 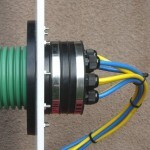 The 400 x 400mm chamber with a depth of 500mm is ideal for CCTV and small comms cable installations. 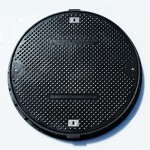 The unit comes complete with either B125 or C250 lightweight composite manhole covers. ..
Forecourt Solutions are pleased to announce the release of their new Landfill Site Equipment Chamber. A high quality custom configured chamber to house landfill leachate and gas production monitoring equipment. The chambers are fabricated from robust polyethylene sheet and are designed the house and protect equipment during it's deployment on Landfill Sites fo upto 30 years. Designs are tailored to the requirements of the each project in terms of size and equipment mounting requ..
Forecourt Solutions are pleased to announce that they have been shortlisted as a finalist in the UK Energy Innovation Awards 2015 Protection of underground infrastructure is a major issue for the electricity, gas and transport network operators. Forecourt Solutions applied a secure cover technology on one such network suffering from wilful damage and equipmet theft. Once installed across the worst effected section of th network the ongoing problems have been irradicated. The problems..
Forecourt Solutions expand Distribution & Warehouse Facility With 2014 now underway Forecourt Solutions has further expanded its warehousing and distribution facilities in UK to meet the growing demand for its products. The latest facility adjacent to the existing facility doubles the capacity. Nick Hugh Managing Director commented "Forecourt continued growth both in the construction and renewable energy markets alongside our existing worldwide petrol station b..